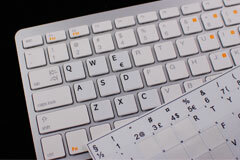 Glowing Fluorescent keyboard stickers with high visibility in normal and low-light, especially effective in twilight and poor visibility conditions. 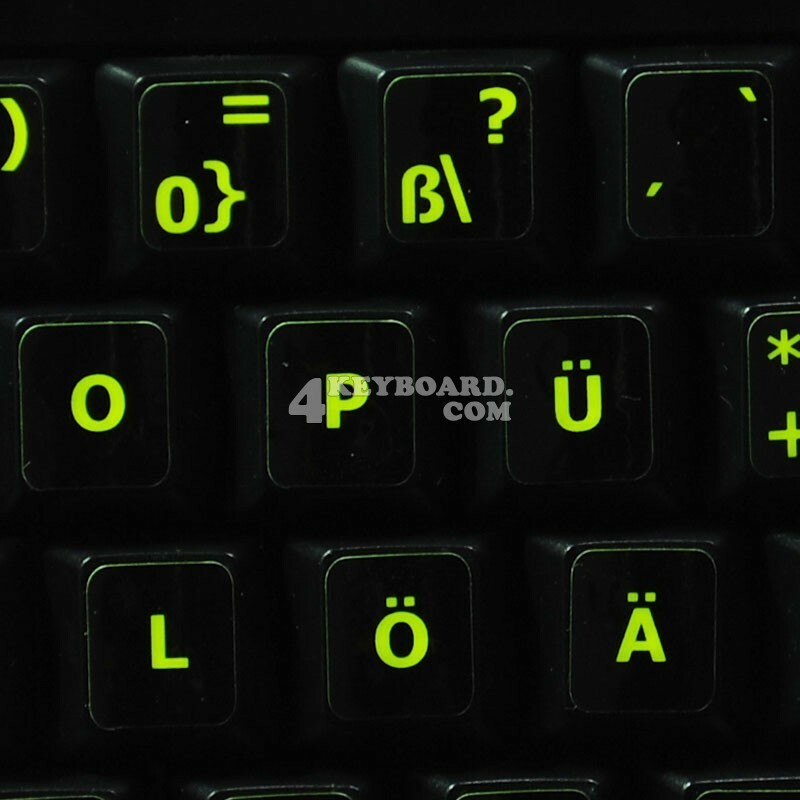 German Glowing Fluorescent keyboard stickers are vibrant, bright-colored which are proven to be the best solution to work on your computer even in dim or poorly lit places. For high-visibility, choose Glowing Fluorescent Stickers that stand out! 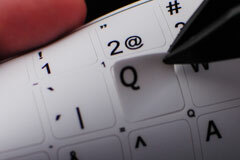 Stickers are not ‘Glow-in-the Dark’ – They have an ULTIMATE FLUORESCENT REFLECTIVE EFFECT. 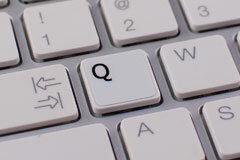 Suitable for any standard keyboard or laptop model. 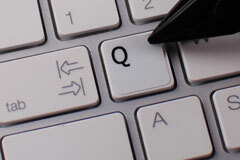 Permits to use your keyboard, laptop in the dark (with monitor on). Very useful for people with poor vision. Widely used by students, police departments, DJs as well as movie and music productions, etc, etc. 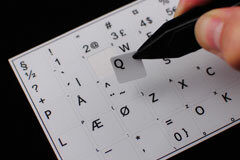 Glowing characters pick up any source of light coming in/ through ( such as light from your own monitor, laptop, or even USB light etc, etc) - allowing keyboard characters to brighten up immediately by reflecting the light, yet, stickers are not the source of light themselves. It is just the same effect as a road signs reflection, or strips on uniform worn by construction workers or police. 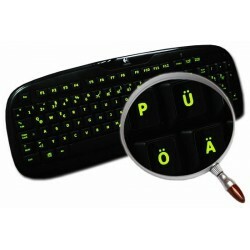 These German Glowing keyboard stickers are made of a high quality fluorescent vinyl, are durable and efficient. 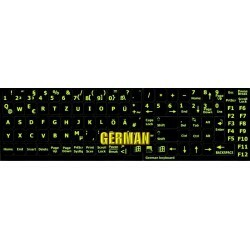 German stickers suitable for variety of keyboard Desktops, Laptops and Notebooks. 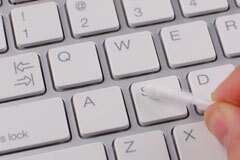 Glowing keyboard stickers have become very popular amongst people traveling a lot, especially by plain, and of course, students... who often work at night, in the dark, and therefore, don't want to bother others or be disturbed. Take advantage of progressive technology working for you!! !